Did You Have A Successful Year? Why it’s important to listen to your customers. May 23rd Looking for a Business Opportunity? Concrete Raising requires no previous knowledge, and we train you! Hands on training raising and leveling real concrete with HMI mudjacking and polyurethane equipment. Learn how to market your business to residential, commercial, and local government. Classes sell out! $595/Attendee, Spouses are Free! Ask about our veteran discount! Step 2) Choose the system that’s right for YOU! 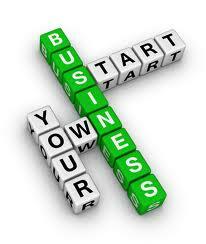 Step 3) Be Your Own Boss, or diversify your current business with the support of HMI! Nov 6th Working After Retirement. Okay, maybe the golfing routine or moving to Florida isn’t your thing yet. Not everyone is looking forward to retirement and ready to throw in the towel. You’re not alone; according to the Kauffman Index of Entrepreneurial Activity from 1996 to 2010 the number of new entrepreneurs has increased from 14.5 to 22.9 percent. This increase shows a growing trend, more retirees are now starting their own businesses and doing something they enjoy. We have seen an increase of retirees entering the concrete raising business. 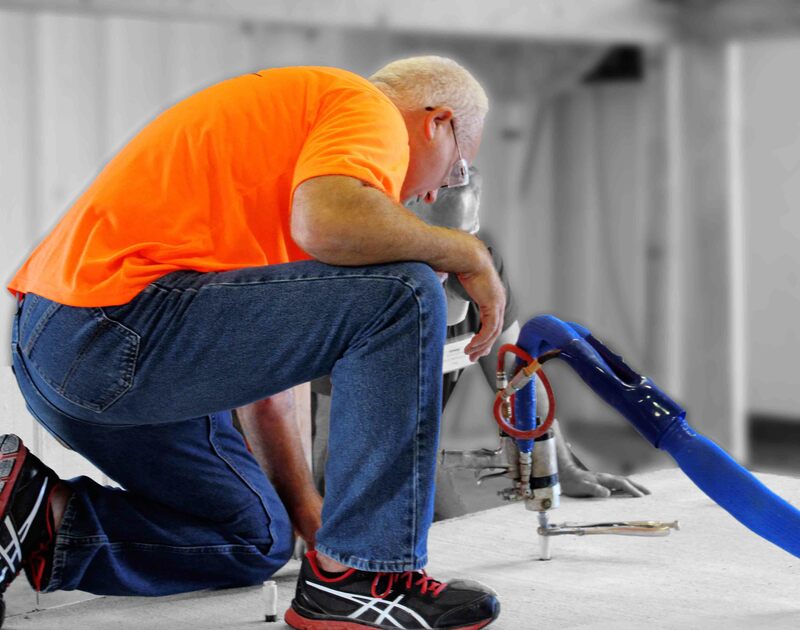 There are many advantages in joining the concrete lifting industry after you retire. Even if it was like your past job, for the paycheck or you are looking for a fresh new opportunity to do something you truly enjoy. This could be something you are going to pursue in your spare time or work full-time. Work when YOU want to work and be your own Boss. People of various backgrounds have pursued post retirement careers and found a connection with concrete raising. It is common for someone who has retired from the construction industry to enter into this business. Even without that past experience, HMI has the training to teach you the industry. You’re the boss! Concrete raising is a business you can pursue from the comforts of your own home. You can learn in just 2 days what it takes to run a concrete raising business and how to be successful doing it. Click here to learn more about HMI’s 2 day training classes. 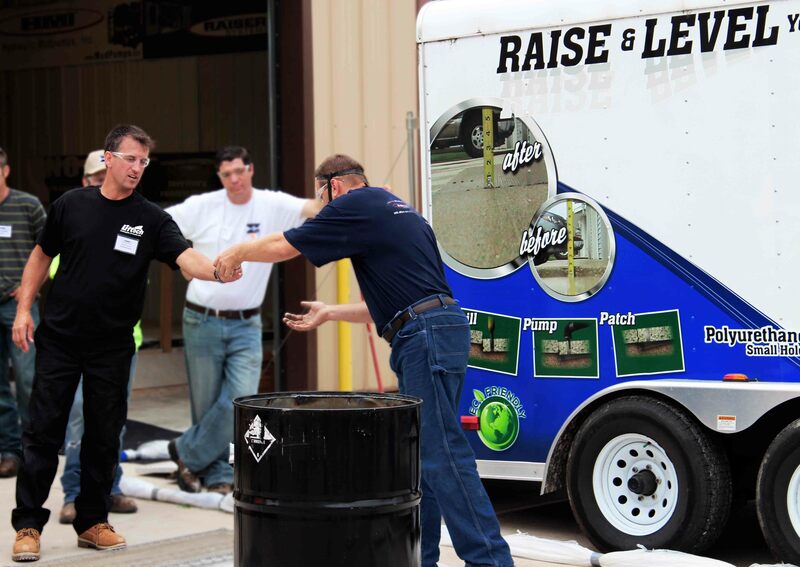 Attend an HMI training class and learn what it takes to raise concrete. Don’t wait for someone to invest in you and do it yourself. We are not franchise structure. Know that you have the tools to succeed and put them to use. Through training and support, HMI is unlike other manufacturer. We share our knowledge and experience while offering you full support. Bidding, job advice or equipment support, HMI is dedicated to your success. Now that you’re retired and have money saved up, it may be the perfect time to start a new business. Never invest in something you are not sure of. That’s why HMI will train you before you buy. We you teach everything from basic business operation, marketing, to the actual use of the equipment. Believe it or not concrete raising is not labor intensive! Polyurethane concrete raising can be managed by a one man crew, plus the trailer is small enough to fit in your garage. It’s as easy as drill, pump, and patch. No experience is required; we have had customers pursue a new business in concrete raising from all walks of life. Individuals from all backgrounds can learn to lift concrete. Being a business owner gives you the luxury of setting your own hours. It also allows you make the decisions and develop a relationship with your customers. It is a work at your own pace business that can be easily expanded. HMI provides our customers with the equipment and know how to be successful in your business. We will work directly with you to help your business grow. Oct 24th Did You Have A Successful Year? Now is a great time to purchase concrete raising equipment to help make your business more profitable in the years to come. The tax year is coming to an end and it is time to start thinking about your tax deductions. Section 179 of the IRS tax code will allow you to deduct from this current tax year. 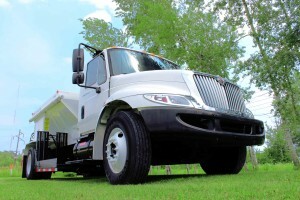 Concrete raising equipment you purchase, leased or finance will be credited to your deduction for the 2013 tax year. It is important to ACT NOW and take advantage of current benefits of the section 179 code. Thinking about your businesses future is important and it is important to do your research. Find every advantage you can acquire to increase your revenue in the years to come. When the code changes you don’t want to have that should of, would of, and could have purchased concrete raising equipment feeling. Section 179 was designed to help businesses, that’s why almost all “business equipment” purchased and in service until Dec 31, 2013 qualify for the deduction. The tax deduction will not take effect if you have exceeded purchasing $2,000,000 in equipment in 2013. 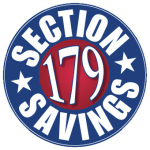 Section 179 has been modified in 2013 for small and medium size businesses to succeed. The prior rate in previous years was $200,000. The vehicles weight must exceed 6,000 lbs. There are loopholes to get around this for smaller vehicles due to size, passenger quantity and cargo area. The current 2013 deduction limits are $139,000 and the total amount of equipment purchased cannot be over $560,000. This limit may go back to normal in future years so it is important to take advantage of the current rate. Your geographical location may have an impact on your deduction rate. An increase may be provided for areas in New York liberty zone, enterprise zone and the gulf coast zone. There is a special page dedicated to see if you’re located in the special section zones. To participate for the section 179 code you will need to fill out an IRS form 4562 (Click Here). If you need assistance speak with your current tax preparer for more details. The equipment purchased can be new or used, the important thing is that to be “new to you.” Used equipment does not qualify for Bonus Depreciation. Your new equipment cannot be used for personal use. 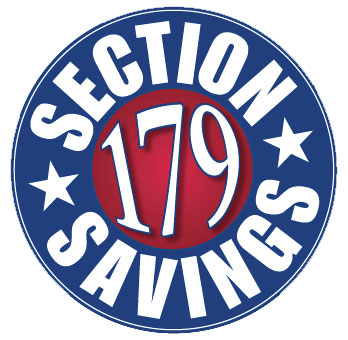 The section 179 tax deduction can have a huge impact on your savings from equipment purchases. The Section 179 deduction calculator can give you an example of your savings when purchasing concrete raising equipment. Please note that the calculator and bonus deprecation calculation is a reflection on the current year and may change after December 31st 2013. Click Here to learn more about HMI’s financing partners. Whether you’re looking for Polyurethane concrete raising or mudjacking equipment the Section 179 code will help you save money to help you make more money in the future. Contact HMI at 1-800-626-2464 or info@concreteraisingsystems.com to purchase concrete raising equipment. Are you ready to take your business to the next level? No matter what your business specialty is, you may be looking into new ways to create revenue. From contractors to entrepreneurs, HMI has helped small businesses across the world expand into new markets and increase their revenue stream. Diversifying your business is a big step for every small business to make, but reward can be very gratifying. There are couple things to take in account when adding or expanding your business services. Do your research. Make sure you acquire knowledge of what type of business you are expanding into. As well it is important to have stability in your business when branching out into new directions. Know your target market area and take in account of new travel destinations. We offer you the option of polyurethane concrete raising and mudjacking equipment and materials. Whether you choose between the two or both, we are available to answer any questions you may have about our business operations and equipment. We offer multiple business packages to suit your budget and your specific needs. Preparation and patience. Change can be exciting and frightening for some, and that is why to prepare your staff for your upcoming opportunity in this new market. Make sure that your staff has acquired the proper knowledge in your new service, so they can proceed with the expertise that you have developed. Your new service may be booming at first or it may take a little while to get the ball rolling. Get the word out about your business and try to presell your service to find what your market will be. At our 2 day training classes we cover hands on training with our equipment and business operations. This opportunity allows you to give your new service a test drive. Become an expert in the concrete raising industry before you make the leap. Be open to advice. It’s not a bad idea to seek the advice from others with your new concrete raising service. There may be ideas out there you have overlooked or just didn’t think of. It’s easy to talk yourself into something, but some outside feedback can be an eye opening experience. The best way to get the knowledge you need is to start with a 2 day HMI training seminar. 2. How much will it make? 3. How hard will this be to add to my current business? 3. With our experience in the industry, HMI offers training, onsite technicians and support, expanding to offer concrete raising is easy with HMI. If you’re thinking about expanding into the concrete raising business give us a call 1-800-626-2464. We will answer any questions you have about the business. Whether your questions pertain to polyurethane concrete raising, mudjacking, marketing or business operations, we are here to answer them. Diversifying your business is a big step and we are here to help and support you through this opportunity. We are a manufacturer and a contractor who have seen both sides of the spectrum when it comes to concrete raising. Sep 27th Why it’s important to listen to your customers. Have you ever asked your customers how your service is? They may offer insight that you didn’t know of or offer ways you could improve your service. Understanding your customer’s thoughts on your job can create a personal connection between your business and them which can generate more business and more money. Consider asking customers how their experience was or if they would change anything. It also shows the customer that you care about the quality of work you do and also that you value their opinion. Raising concrete back up is amazing! The more impressed they are with the process and your service, the more likely they will be to tell more friends, family and neighbors. In the concrete raising industry referrals can be one of the best ways to grow your business. When they call for a lead, during scheduling or even a follow up call, do not forget to ask them for referrals. How was your experience with our service? You don’t know unless you ask. Measure what you hear and find out if there is trend in your customer’s feedback. Positive feedback will help you spread the word that you are doing a great job and you can tell other customers how satisfied your customers experience is. Negative feedback can provide information about employee’s performances, mechanical issues or attention too detail that need to be addressed. It also provides insight into the customer’s eyes and perception of your business. Keep in mind that people are expressing their opinions not only by word of mouth but on multiple social media platforms reaching many more people. REMEMBER people are more willing to share a poor job done or customer experience rather than a positive, emphasizing the importance of a job well done! It is important to cultivate positive feedback, but to also embrace negative feedback. As your customers to post comments or reviews, but when something turns negative the best way to handle the comment is basic Customer Service 101. Be empathetic, apologetic and never forget Rule #1, the customer is always right. Correctly addressing a negative comment can be more impactful then never getting a comment at all. What should I pay attention too? If you measure your customer satisfaction levels you can compare it to how busy your concrete raising business is. You can also use that information to predict how busy you will be in the future. Do you need to improve something or can you expand your business? 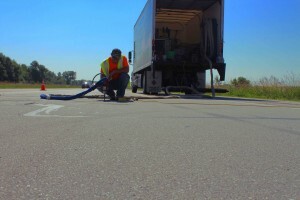 For example, if you have a lot of customers complaining about hole size after a mudjacking job, it may be time to look into polyurethane concrete raising. If customers complain about you taking too long to complete their work, this could be an excellent opportunity to start another crew and grow. It also may be important to ask customers about what they least liked about your service or how you could improve it. Not to open a can of worms, but it is a way to get important feedback. More or less, the answer might be that your prices are too high, it took too long to estimate or complete the work. Again good feedback to justify growing your business or taking a hard look at your business practices and how to improve them. Don’t worry, you may not need to change your prices but improve your quality of service and prove you are worth every cent. This is a great question to ask to all your customers. This will not only help you realize your biggest driving source of revenue, but illustrate where you should spend advertising money and what areas of contact you should focus on. In conclusion, the customer is the most important thing to your concrete raising business. They are the ones who pay you, recommend you to others, and share their overall experience with family and friends. Better yet ask them to share their great experience with others! We at HMI are always open to answer any of your questions and comments. 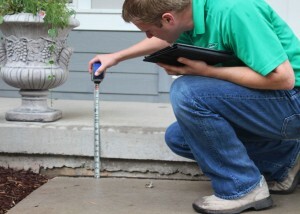 Have you seen how much concrete is around you? There is a huge business opportunity in concrete raising and we will show you the steps needed to start a successful business. In the concrete raising business, you are presented with the tools to be your own boss, set your own schedule and hire your own employees. You have the opportunity to reap the award of being in charge of your future. The best thing about concrete raising is that anybody can do it. We speak to customers on a daily basis that come from many different backgrounds and are thriving in the world of concrete raising. It is important for a successful new business to have a strategy before they take off. 1) Pursue your specialty. In the world of concrete raising you have the option of traditional mudjacking and polyurethane concrete raising. These two options go hand and hand and it is not uncommon for a company to pursue both so the customers have the option between the two. 2) Develop a plan. It’s smart to develop a strategy before you start your actual work. Discover your rates, prices and competition in your area. How far will you travel? 3) Reserve a web address. Make sure your customers can find you when they enter your service in a search engine like Google, Bing and Yahoo. 4) Find your budget. It’s important to plan your investments in equipment, labor, operating costs and marketing. 5) Define yourself. Make your business a brand. Create a logo and choose your colors to give your business an identity. Choose a theme for your website that lets your customers know what you offer. 6) Be social. Utilize social media sites like Facebook, Twitter and LinkedIn. Spread the word to customers, friends and family to grow interest in your company. 7) Establish a marketing strategy. Brainstorm ideas, concepts and strategies to produce sales. 8) Create a strategic plan. Create a detailed list of your deadlines, procedures, weekly and monthly goals. 9) Develop your schedule. With your new business it will be easier to stay on track by following a planned agenda. 10) Keep track of your money and create a legal identity. 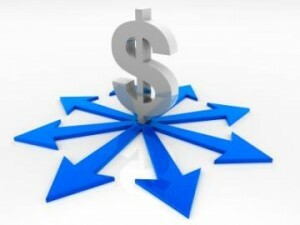 An accounting system will organize your finances and transactions. Make yourself the sole-proprietor of your business. HMI offers 2 day training classes to teach you everything you need to know about how to start, market and be successful in the concrete raising business. We will offer you support and answer any questions you may face while you pursue your dreams of owning your own business. Why Start a Business Raising Concrete?